As an electronics technician for energy and systems, Mr. Mannsperger knows what he is talking about. He largely carries out the maintenance of his MTU/MDE block-type thermal power station himself and is very satisfied with the workload. 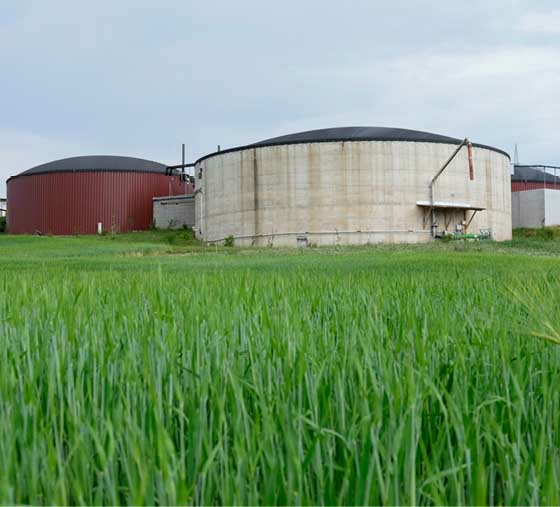 “There are only a few biogas plants in the region and the crop rotation on the fields is very heavy on grain, so that the biogas plant fits well into the region and the environment,” recalls operator Mannsperger. 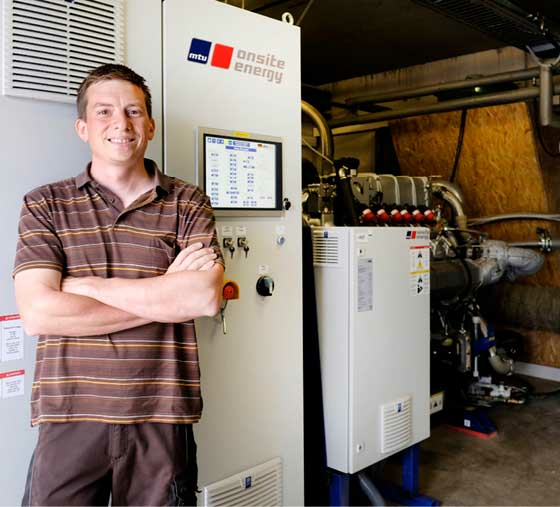 In 2009, the first cogeneration plant with 160 kW was commissioned. Due to the short distances, the plant is well integrated into the operation. With 50 % manure and manure, it has cost-effective feedstocks, utilises the heat excellently and thus fits perfectly into the livestock farm with 600 pig fattening places. This means that the manure can be used well and the crop rotation is extended by the cultivation of maize. 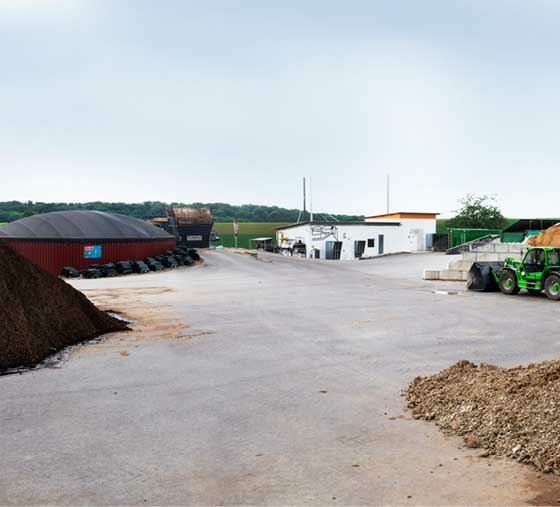 Bernd Mannsperger has hired an employee with a truck driving licence for the regular transport of manure and slurry. Because he himself not only operates agriculture, but is also a trained energy and plant electronics technician. In this way, he can carry out most of the maintenance of the combined heat and power plant himself. “This is where training and special knowledge in energy and plant electronics are of great advantage,” explains Bernd Mannsperger. The plant is currently not yet receiving a formaldehyde bonus, but talks are currently being held with the energy supplier Netze BW. Bernd Mannsperger nevertheless has an annual emission measurement carried out and, after installation of the oxidation catalyst from Emission Partner, formaldehyde emissions are well below 40 mg. The measurement is voluntary – for the environment and a good neighborhood.